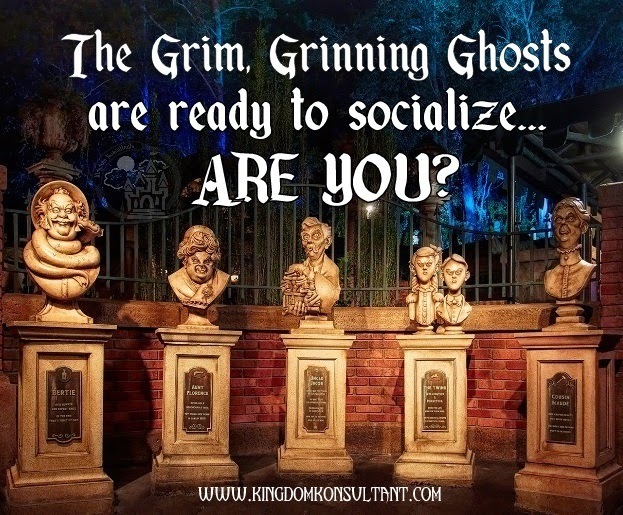 This fall, the Grim Grinning Ghosts won't be the only ones socializing in the parks! Disney has just announced a new premium option during Mickey's Not-So-Scary Halloween Parties. The "Villains’ Sinister Soiree: A Wicked Takeover of Cinderella Castle” Premium Dessert Party" is a brand new VIP experience that is sure to be a huge hit. The cost is $99 per person age 3 and up, and includes preferred viewing for Mickey’s "Boo to You" Halloween Parade and Hallowishes Fireworks Spectacular, as well as a dessert party at Cinderella’s Royal Table hosted by Lady Tremaine and her villainous friends. Separate admission to the Not-So-Scary party is required, and not included in this price. Reservations are highly recommended; with the popularity of villains in the parks, this experience is likely to sell out! Here are the seating times for the Dessert Soiree: 10:15PM and 11:45PM on 9/1, 9/9, 9/12, and 9/14/2014 and 10:15 PM on 9/16, 9/19, 9/21, 9/23, 9/26, 9/28, 10/2, 10/3, 10/5, 10/9, 10/10, 10/13, 10/16, 10/17, 10/19, 10/21, 10/23, 10/24, 10/26, 10/28, 10/30, and 10/31/2014. Reserved viewing is for the 8:15 Boo to You parade only. Entertainment is subject to change, but the expected villains include Lady Tremaine, Cruella De Vil, Maleficent, The Queen (from Snow White and the Seven Dwarfs), Dr. Facilier, Frollo, Captain Hook, and the Queen of Hearts. Seating is not provided at the preferred fireworks and parade viewing. Wheelchairs and ECVs can be accommodated at this and the dessert party. Dining plan credits cannot be used for this event. Tickets are limited, so book this as soon as possible if you'd like to participate! Are you ready to socialize with Disney's greatest villains? ?